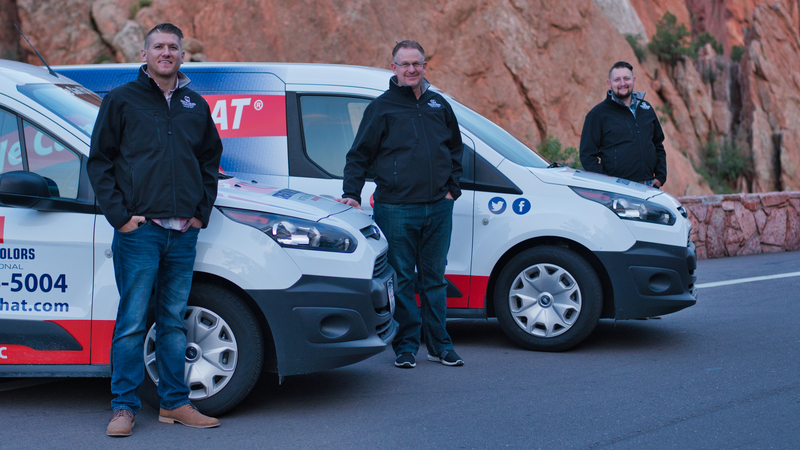 COLORADO SPRINGS, Colo. – (August 6, 2018) – Creative Colors International (CCI), the nation’s leading on-site repair and restoration franchise, launched its newest location on August 6, in Colorado Springs. This is big news as more local business owners and cost-conscious residents than ever before are seeking out alternatives to astronomical upholstering charges and replacement fees associated with damaged possessions made of leather, vinyl, plastic and fabric. Husband and wife team Anthony and LaDawna Smith recently sold their home and pizza business in Kansas and moved their family of 15, (two daughters, two sons-in-law, three baby granddaughters, and SIX adopted siblings), to the City Of Millionaires, recently named the Most Desirable Place to Live by U.S. News and World Report, to start a new chapter in their lives. “We love this city! The variety of things you can do outside is perfect for our family. My wife has taken the kids hiking at Garden of the Gods almost every day, and there are no mosquitos!” said Anthony Smith. The opportunity to open a Creative Colors International (CCI) franchise in Colorado Springs was a perfect fit for the Smiths, who were looking to move to a bigger area with more opportunity for multiple generations of their growing family. After meeting with CCI, a Chicago-based family-owned business, and learning one of the country’s Most Desirable Places to Live was an available market, it’s like the stars were aligning. The Smith’s believe conservation-minded Coloradans will love the company’s revolutionary products and restoration techniques that will help local customers save up to 90 percent in replacement fees by repairing worn and/or damaged materials, extending the life of products and keeping them out of the landfills. The Smiths are serving a population of about one million people in the metro area with two mobile vans that are stocked and ready to roll. They are already looking ahead to next year when they plan to build their fleet by adding another three vans. Auto dealerships, and especially RV dealers, will be early target markets, although the sky’s the limit on potential customers. Serving the automotive, commercial and furniture industries, Creative Colors International offers affordable solutions for tears, holes, scuffs, scratches and other types of damage found on leather, vinyl, plastic or fabric, through on-site repair, restoration, cleaning, dyeing and protection. For local residents, this means Creative Colors International can repair auto interiors, leather furniture, RV flooring, and boat vinyl, among other things. Additionally, for business owners, Creative Colors International can repair any upholstery found in critical locations around the company, such as waiting rooms, examination rooms, restaurant booths, hotel rooms, and theater seating, among others. 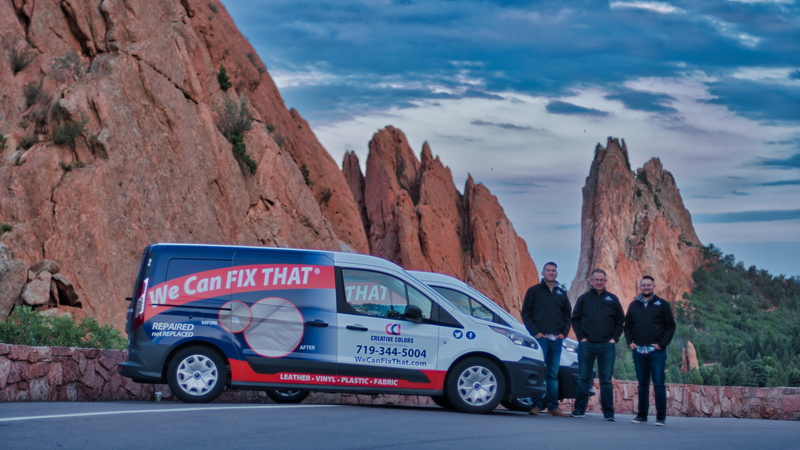 For more information on the Smiths, and their Creative Colors International location, please visit www.wecanfixthat.com/colorado-springs.